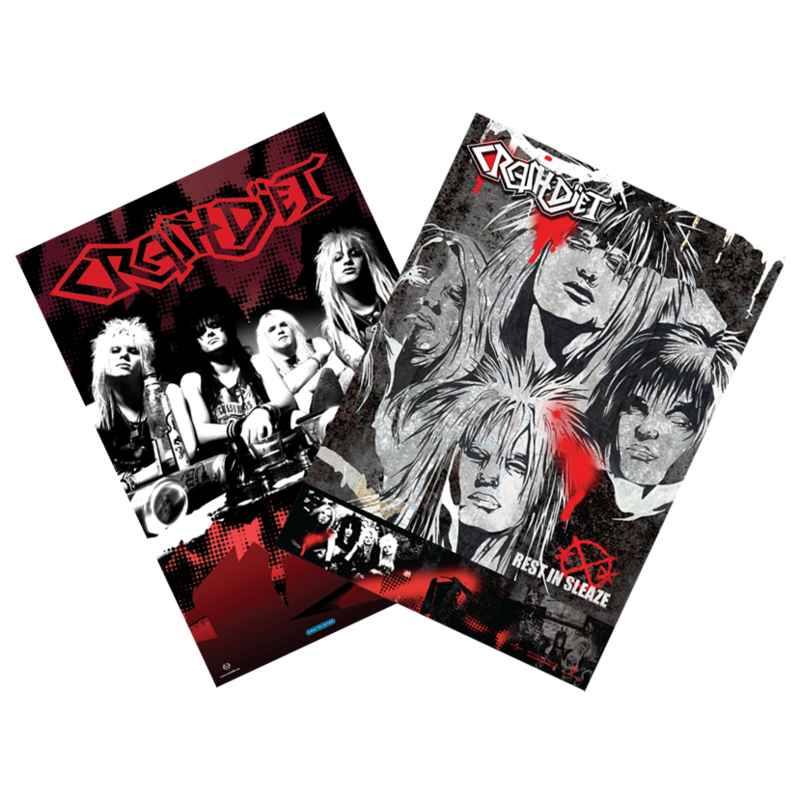 Re-prints of the classic posters from the Rest In Sleaze era! Great quality posters. Bought them for my kids. They love them!! The quality of the paper is thick so it doesn't break very easily, which of course is good cause you want them to last long! Both are nice to look at! Great quality, so I think the price is ok for that. Look really great on my wall with a black frame! These posters look absolutely amazing on the wall. Perfect size, amazing color, just all around perfect. Good posters, made with love!! !